Remember the occasion when Jessica did the “impossible” and attended multiple promotional events, one after another ? As is a well known fact, Jessica is one that values the importance of adequate rest between events, so what actually took place was an anomaly indeed ;). So, how did our favourite princess of the icy realm take the “stress” that was placed on her royal self 🙂 ? Well, amipiai (the awesome author of the Soshitoons series) gives us a SONE’s take on how she probably did it :lol:. If you actually think about it, there may be some element of truth here :D.
Anyway, do read on and enjoy ! hahahaha…i enjoyed reading this..hehehe..SNSD jjang!! is that taeyeon who accompany seohyun at first picture..
hahaha, since seohyun has killer elbow..
but 3 all days long sleep without eat and anything, i call that coma, not sleep.. isn’t that? No, it’s Tiffany. 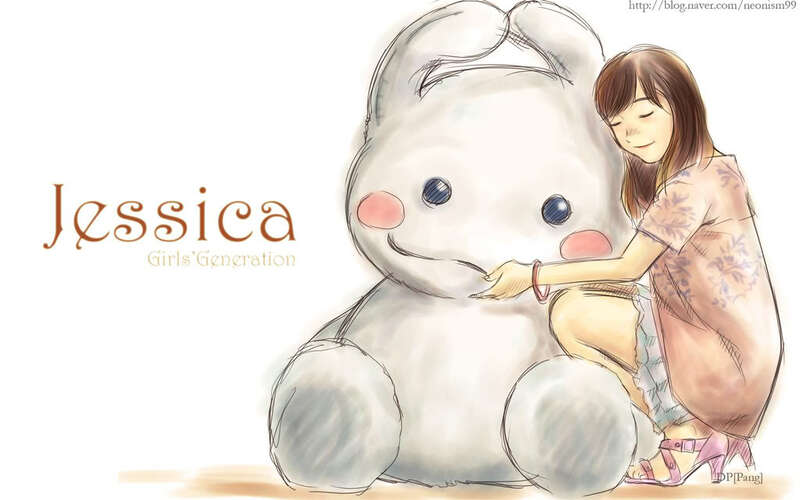 As you can see, she’s wearing pink, has an eyesmile and uses ‘Jessi’ instead of Sica. Seohyun is the other girl though.